Call us the “Expedia” of Design Trends! We’ve noted information from the most respected interior design sites comparing Design Trends for 2018, including HGTV, Houzz, and Pinterest, and have pared it down to the trends that are consistent across the sites. Now, how the trends became trends can be interpreted several ways. First, Pinterest and Houzz notice trends based on what people search for. Other sites use “expert opinion”, which can be from vendors or other design professionals. No matter how a trend becomes a trend, the most consistent of them are below. 1. Mixed Metals – Think a mix of different tarnished tones presented in lighting fixtures, on a coffee or end table, or even accessories like lamps, frames or art. Matchy-matchy is out, and has been for a while. Keep that in mind for your metals as well. It’s perfectly okay to mix gold and silver. Gold lends itself to a more luxe aesthetic, while silver balances that out. 2. Earthy Tones – We’ve even seen this trend in new car interiors, too! In this family are shades terracotta, bronze, and even sage. As for paint, “earthy pastels” was the trend in the Wall Street Journal, while others showed deeper tones for upholstery and pillows. This photo taken on a recent trip to Italy is exactly on trend for inspiration! 3. Comfort – Hard to believe this is actually a trend, right? I mean, who didn’t want comfort before? People are more concerned now more than ever about how their space feels, not just how it looks. Not only is comfortable furniture important (however that is defined by the homeowner); the entire space must also exude comfort and invite you to “experience” the retreat that their homes have become. Relaxed elegance…that’s our specialty! 4. Spa-Inspired Bathrooms – The first cousin to comfort spaces! There are so many options for this desired effect, including stone or other nature-inspired tile, heated floors, dimmer lights and candles. Your favorite spa experiences can be incorporated into your own bathroom. Add massaging shower heads and you won’t even need to call a masseuse! 5. Bold colors – This could mean a splash, or a waterfall of color! Go ahead, be bold. Make a statement on your walls, with a colored sofa, vivid artwork, or just a pop with a pillow. 6. Monochrome – In contrast to the “Be bold” directive above, are the soothing effects of a monochromatic color scheme. Homeowners are opting for light shades of white, beige and gray on their way to a relaxed aesthetic. Whether you choose bold, monochrome, or a combination, you’ll be on trend AND classic! You can’t go wrong! 7. Patterned Plants – Plants always add movement and a healthy, organic quality to a room…a bit of outdoors inside. Having plants inside can actually improve our health in the air we breath, and lower our blood pressure. If you have even a little bit of a green thumb, consider the newest trend in plants. You can stick with traditional favorites like Snake plants, Bromeliad, and Croton, or branch out (pun intended!) and try some new plants that will make a statement. 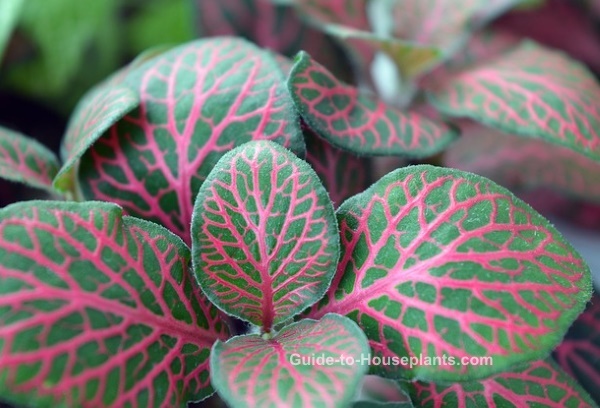 Try Tradescantia Zebrina (literally looks like a zebra), Fittonia (with its preppy personality), or the Calathea Medallion (boasting large, beautifully-patterned leaves), all shown here. At the end of the day, and the end of a project, we know what works for our clients, and clearly what works for one may not work for the next. Our expertise is interpreting what our clients will love based on what they want…not just what the trends happen to be. We always recommend discretion when trying to be too trendy. Strike a good balance and you will love your room, and your home, for a long time to come. If you are ready to begin a project, we would love to create the space that is just right for you. Schedule your design consultation today!